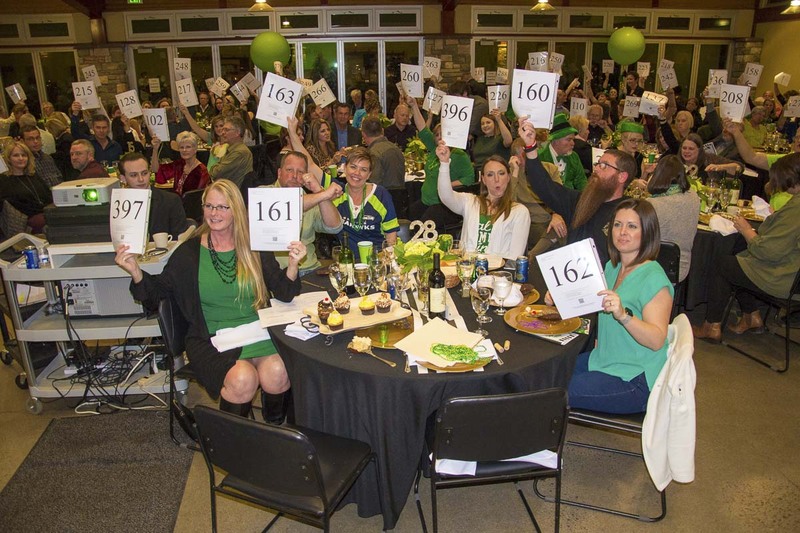 BRUSH PRAIRIE — Rocksolid Community Teen Center will hold its 18th annual auction Fri., March 1 at Warehouse 23, located at 100 Columbia Street in Vancouver. After selling out 2 years in a row and meeting maximum capacity at Battle Ground Community Center, the auction will be held at Warehouse 23 this year. Doors open at 5 p.m. The Lucky Shamrock Auction will include a live and silent auction, raffles, games, mobile photo booth, and much more! The auction is the largest fundraiser of the year to maintain the after-school program. Presenting Sponsor this year is Riverview Community Bank. Gold sponsors are S&T Truck Repair, Pacific Bells and Dan’s Tractor. Luck of the Irish Sponsors are Total Merchant Concepts and Kiewit Corporation. Shamrock sponsors are Waste Connections and Robertson & Olson Construction. Tickets are $65 each and available at the website: www.rocksolidteen.com by clicking the “news” link, then “auction info”. Tables seat 10. Guests are encouraged to note seating arrangements if they have a group of 10 who would like to sit together. “We are very excited about our upcoming auction; the support has been incredible. We have sold out early the last 2 years. We are happy to partner with Warehouse 23 and have more room for our guests this year. We appreciate the community recognizes the value of the youth and our program. We are serving more teens every year, so we are in great hopes to have a record auction.” stated Marcy Sprecher, executive director at Rocksolid. About Rocksolid Community Teen Center Rocksolid Community Teen Center offers a safe place after school for 5th-12th grade students in the Battle Ground and Hockinson School Districts. The center is open every day after school from 2:30 to 5:30 p.m.
Those interested in finding more about the program, Marcy Sprecher, executive director, can be reached at (360) 885-2181 or Marcy@rocksolid-teen.com or visit the website at http://rocksolid-teen.com/ .